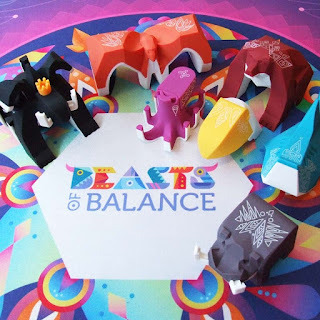 Beasts of Balance is an interesting new connected game that combines physical pieces and a game app. The idea is that as you balance pieces on an electronic plinth, you evolve a world of strange creatures which you must also keep in balance. 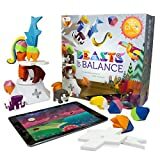 I've played Beasts of Balance with my 8 year old and 10 year old. It's recommended for age 7+ but don't think it's a game just for little kids. Adults will enjoy it too. 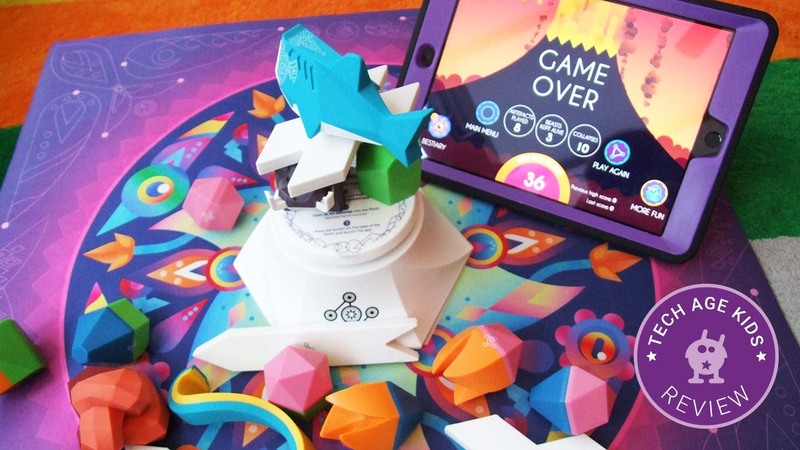 Beasts of Balance is a collaborative game which is really appealing. Yes losing is an important lesson to learn, but so is teamwork. 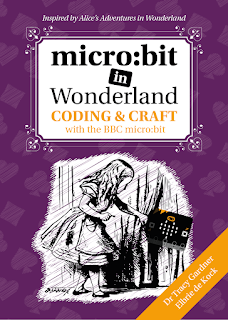 If the idea of a beautifully designed, whimsical, collaborative connected game suitable for a range of ages appeals to you then you've just found your next family game. Beasts of Balance is nicely packed in a sturdy box. The packaging is beautiful but it's big and it takes a while to pack everything away into the right spot. Eventually, you could remove the inner packaging and just chuck everything in, especially if you end up buying extra add-on beasts for the game. The plinth is powered by 3 AAA batteries. I know a lot of people like rechargeable devices, but I'm a fan of batteries for devices like this. I know we'll always be able to play on the spur of the moment without waiting for a device to charge. The manual mentions rechargeable batteries which we like. You can easily have a set charged and ready for whichever device needs them. The pieces include beasts, element artefacts and function artefacts. The beasts are rather lovely. The special artefacts are a bit plain but the quality is good. "Oh wow, I love the design on the bear." Elbrie got a special Kickstarter edition which includes a playmat. Every time the boys get the playmat out they ooh and aah about how gorgeous it is. Update: The playmat is now sold separately and available from Amazon. We downloaded the app (available for iOS and Android,) popped in some batteries and were up and running very quickly. There are some printable instructions for the game, but we didn't read these before playing. There's an in-game mini tutorial and that was plenty to get us going. I think it's more fun to discover the rules. There aren't many but they play out in interesting ways. 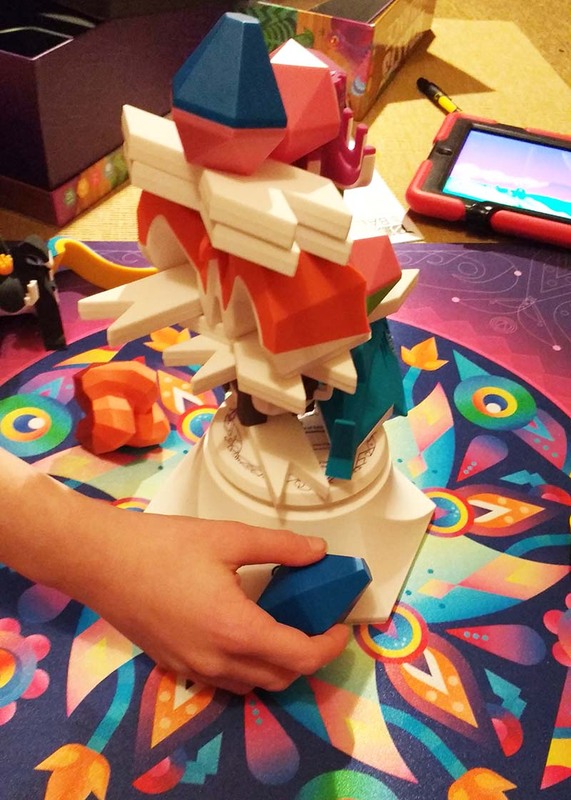 Gameplay involves balancing game pieces on the plinth. You first have to scan a piece before placing it (each piece contains an RFID tag which identifies it to the plinth.) This caught my eight year old son out pretty much every time for at least an hour with everyone else shouting "scan it" as he went to balance a piece without scanning it. If you do place a piece without scanning it the game says "TAKE THAT OFF!" which does rather reinforce what you need to do. He got it eventually! Adding a creature to the plinth adds it to your digital world. Placing the special cross pieces will combine animals to create awesome chimeras with fabulous names. Placing a migrate piece makes a create move to a different habitat. The element pieces boost corresponding creatures. More powerful creatures sap energy from less powerful ones. Once creatures reach a certain level they evolve. There's plenty of skill involved in balancing your in-game ecosystem as well as physically balancing the pieces. The game ends when the pieces fall over which causes the in-game volcano to erupt, although you do get a short amount of time to rebuild and save the world. My kids found this time was quite short and tended not to even bother trying to rebuild if anything major happened. This might play out differently if you had a group of adults who could quickly get the pieces back on. As you play you discover new creatures which get added to a bestiary. This really appeals to my kids. They love discovering new creatures. 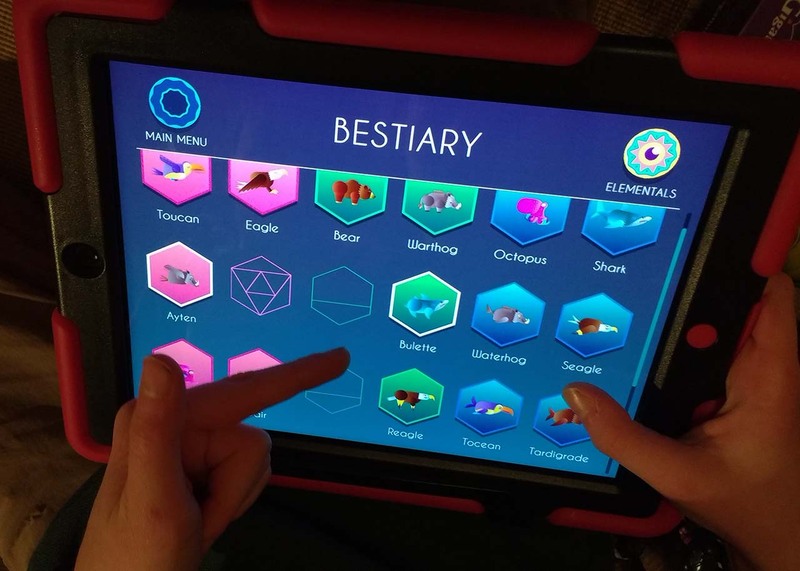 My 10 year old was disappointed that he can't check out his creatures in the app unless it's connected to the plinth - he just wants to spend time looking through them. My 8 year old wanted more information about each creature - a backstory. They have been completely drawn into the world of the game. "It's very engaging because you want to create more creatures." They spent the whole of breakfast on morning discussing strategies for breading new beasts. They are actually working collaboratively which is great. You could take turns, but they make decisions jointly and sometimes one of them will lift up a piece so the other can put another one underneath it. "I think I'm going to play this before school in the morning. I'm going to try and cross a shark and a warthog." Since I showed my kids the game they have wanted to play it in every spare moment. 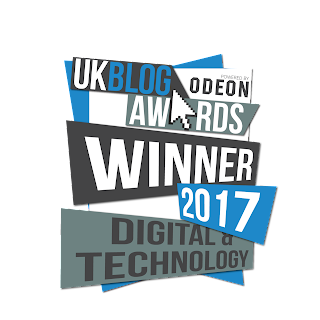 They were pleased that the plinth and tablet don't need to be too close together when the tablet they were using ran out of charge and they had to plug it in over a metre away from where they were playing. I'm hearing lots of giggles and regular shouts of "Mum, come and see what we've made." "Oh, we can place the bear on its side too." My kids are really interested in the idea of needing to keep the world in balance "The numbers aren't health of one creature, they're like how many of them are left. So maybe 1 means there's only 1000 left and they might go extinct if you don't do something." "When they get to 20 they are like primary predators." My kids have also been interested in how the game works technically. They are used to playing Skylanders on their iPads so they're used to the concept of toys with RFID tags with a base that communicates wirelessly with the tablet. I listened to my kids discussing how it might work. The game knows when you placed pieces on the plinth even if they are high up in the stack. It tells you if you have placed the wrong piece or if you place a piece without scanning. It knows when pieces have been removed and starts the volcano erupting. If it could just detect all the RFID tags then you wouldn't need to scan them. But it might detect ones that are just on the mat, not on the plinth. They decided it must be based on the weight of the pieces. They wondered why it needed to scan the pieces if it could identify them by weight. My 10 year old thought for a while and then said "Ah, I've got it. Even if all the pieces were a different weight they might add up to the same so it couldn't tell exactly which pieces you've got." My eight year old then wondered if we could scan a piece and then substitute another object that weighs the same. There was a Kickstarter Maker Edition which encourages the use of custom objects, but my kids didn't know this. We'll definitely be looking out for add-ons for the Beasts of Balance mod-mode. 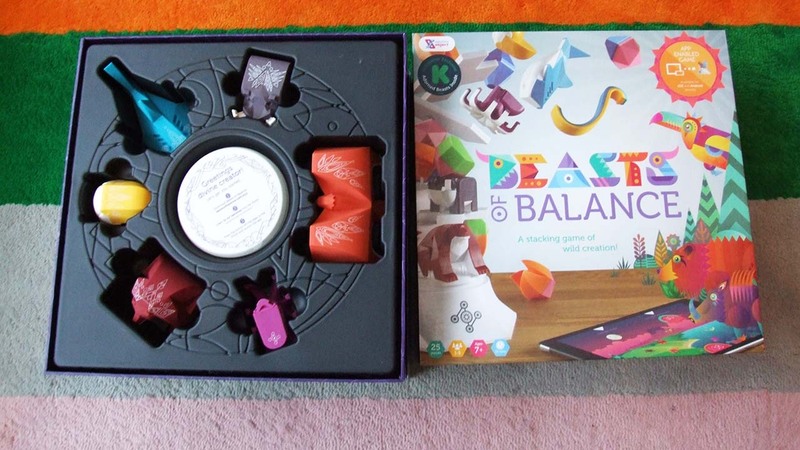 Beasts of Balance could be played as a board game that you get out occasionally as you do with other family games. But with kids it has much more of a toy play pattern because of them wanting to fill the bestiary. My kids have spent more time playing Beasts of Balance in a few days than they have spent in total on our favourite board games. I think the play pattern is going to be more like the way they play with Skylanders games. They binge play each game for a while when they have some time then it goes away for a while and then they start again and replay the whole thing. But because of the collaborative aspect of Beasts of Balance it's likely that the game will be brought out whenever friends and family visit which will kickstart the cycle again. Update: Lalnalion is the newest Omnibeast in the collection. We love Beasts of Balance. It's well designed and whimsical. 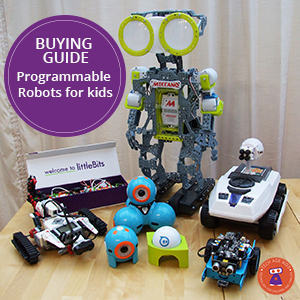 It encourages physical play though combining it with an engaging digital game which offers the rich experience that modern kids expect. Beast of Balance is more 'life to toys' than 'toys to life'. 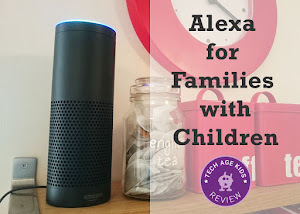 It completely captured the imagination of my kids and I had lots of fun playing it with them too. The game hasn't been designed specifically for kids and it's a fun game for groups of friends and for mixed age family groups. But we think the real sweet spot is encouraging kids to play with physical toys at that point when the digital world becomes more attractive. It would be ideal for a tween or teen sleepover. And it's great for family gatherings too.